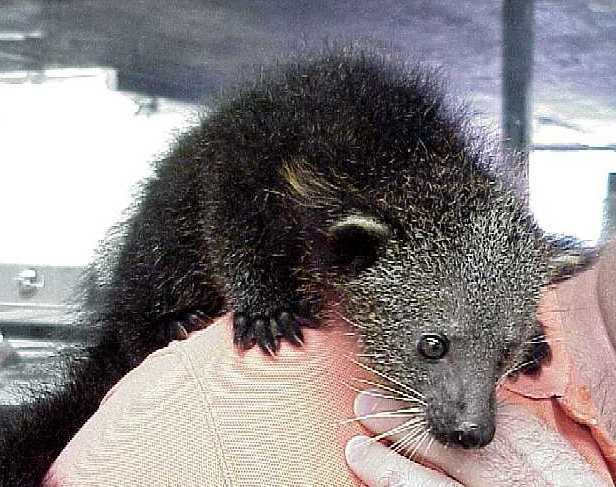 The Binturong, also known as the Bearcat, lives in forests from Himalayas to the Philippines. For their stature and walking, these animal has obtained the interesting nickname – Bearcat, because it truly seems that they have characteristics of both the animals. Binturongs are fairly large in size, reaching 61-97 in length, with a 56-89 cm long tail. The body is muscular, yet slender and covered with a coarse black or dark brown fur. The long tail is very strong and can even hold the 10 kilograms of weight while hanging head-down in a branch. The small head is gray, and the nose is grown with long whiskers that help the animal orientate at night. The Bearcat lives almost only in the trees, and is remarkably clumsy on the ground. 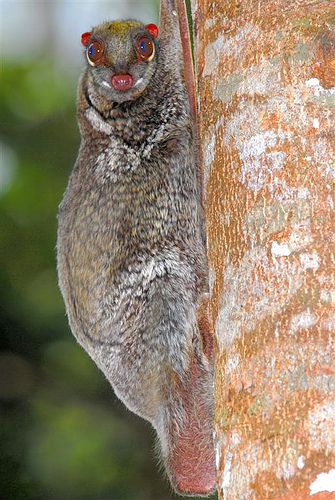 The long tail acts as a fifth extremity when maneuvering through the branches. They usually live in small family groups, that feed at night. Having very good senses of vision, hearing and smell, the Binturong doesn’t have much problem finding food even in pitch black darkness. Apart from their family, they don’t enjoy the company of other specimen, and they can become quite aggressive when protecting their territory. Binturongs have a very diverse diet, making them omnivores. Most of the food obtained is sprouts and leaves, as well as fruits. They are also very capable hunters, preying on birds, small mammals and other creatures, while some Bearacats also eat carrion or go feeding to nearby waste dumps. 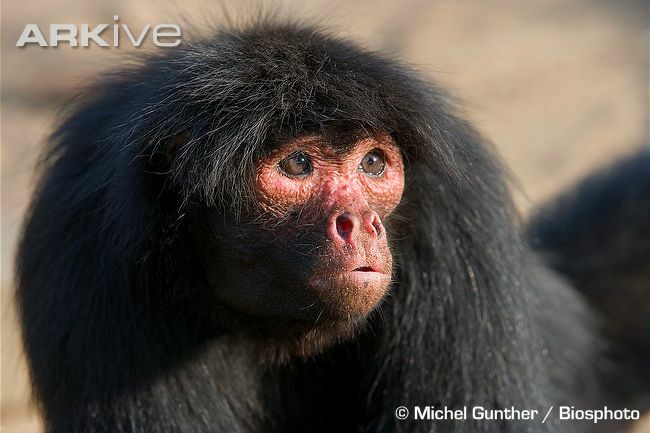 Although this animal is much more agile in the trees, they also hunt on the ground, and can even dive to catch fishes. In fact, the Binturong can dive as well as an otter who spends almost all its life in the water. Each Binturong female can mate two times a year, and she informs the males with a large shout. Pregnancy lasts for 90-92 days and the 1-3 kits are given birth in a temporary cave or a tree cavity, but the young soon leave it. Their eyes open only in 10 days and during this time they’re completely dependent on their parents. Both the parents guard the young animals as they play and learn to hunt in the trees. The young Bearcats don’t leave their parents, and the family sticks together. In the wild, Binturongs live for up to 18 years, while in captivity their life expectancy is much longer, and there has been a recorded case of a specimen living to 25 years of age in a zoo. 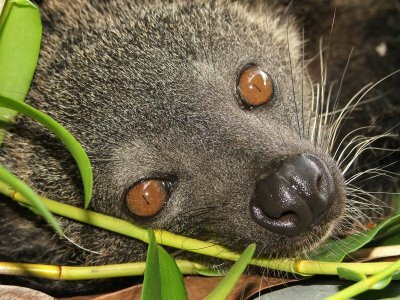 Being quite easy to raise in captivity, Binturongs are not facing extinction, although in the wild, their population is on a decline, as a result of deforestation and general human encroachment. This species is is currently listed as “Threatened” by the IUCN Red List of Endangered Species.